PilotJobs | Age 65 Retirements Begin Soon, How Will That Affect the Airlines? Age 65 Retirements Begin Soon, How Will That Affect the Airlines? On December 13th, 2007 then President Bush signed the law that allowed the mandatory retirement age for airline pilots to be raised from 60 to 65. That means that in only six short months we will begin to see the impact that pushing all of those retirements back 5 years will have on the airline industry. Since the new law went into effect, there has been an average of 2000 airline pilots retiring per year who were not forced to retire due to their age, according to airline consultant Kit Darby. Some have retired for medical reasons, some have been let go and the remainder have retired for a variety of other reasons. Beginning in the year 2012, the number of pilots who will have to retire because they have reached the age of 65 will begin to swell the number of those retiring for other reasons. Soon the number of airline pilots retiring each year will increase dramatically and there are not enough pilots currently in training to replace them. We can look at all of the Major and Regional Airlines and see the same retirement trends developing. Let’s examine one of the Major airlines as an example. Every airline in the United States will be losing pilots due to forced retirements. We can see this by using retirement figures from one airline. To see the full affect, one has to multiply the figures in the following example by the number of airlines operating in this country (38). Every other airline in the United States report very similar numbers of pilots facing mandatory retirement beginning in December of 2012 as those posted by American Airlines. The other side of the pilot shortage problem is that there aren’t as many new commercial pilots training to replace those retiring veteran pilots. According to the General Aviation Manufacturers Association GAMA, there has been an average of 8594 new Commercial Certificates (which you must have to operate an aircraft in return for compensation) issued to pilots annually over the last 6 years. 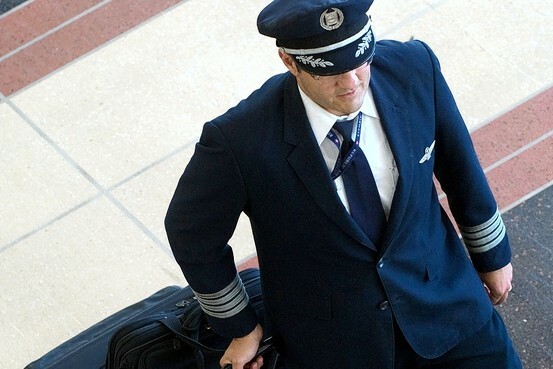 In order for a pilot to be a Captain for an airline, they have to earn an Airline Transport Pilot (ATP) Certificate. If you compare the number of new Commercial Certificates (8594) to the average number of new ATP Certificates (4425) issued over the same time frame, you can see the approximate number of Commercial Pilots who will go on to be Captains in the airline industry. Compare this number then to the retirement figures in the graph above and you can see an impending pilot shortage. Add to this increased demand for pilots the 5% growth the FAA, Boeing and Airbus have forecast the airline industry to undergo through the year 2030. In order to meet the demand for pilots in the growing airline industry, 19,000 new pilots will need to be trained each year until 2030. Flight schools in the U.S. had been training around 16,000 pilots annually before the recession hit. There are only about 9000 pilots who are training this year in the US due to the recession and its lingering affect on financing flight training. Although the pilot shortage is presently affecting hiring at the Regional Airlines, the problem will grow substantially beginning in December of this year. ATP has been at the leading edge of this problem and has made major inroads in solving the problems facing aspiring airline pilots in the United States, such as financing. The airline industry desperately needs new pilots, and ATP is the time-tested and proven path to the airline industry for countless numbers of students who have trained with us and then went on to fly for the airlines.